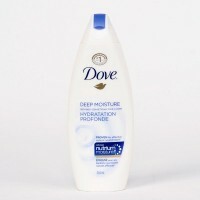 Dove is famous for their ‘Campaign for Real Beauty’. Instead of promoting one single look, they encourage women everywhere to appreciate their own unique look. 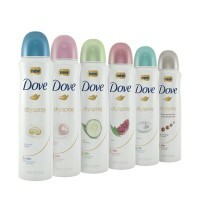 I love that Dove has promoted this way of thinking. There are many ways to be beautiful. Each person can strive to be the best version of themselves – and each person’s unique look should be considered attractive in it’s own way. You can find just about anything you want in this product line. 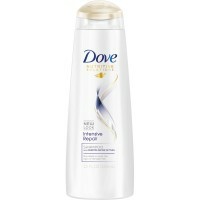 The brand produces products ranging all the way from skin care to hair care. 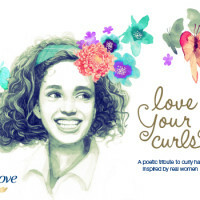 Their hair care line features lightweight formulas that won’t weigh your hair down, while their skin care products are best sellers across the country. Their soaps are also very moisturizing and a great alternative to a regular generic brand bar. 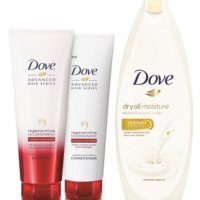 Get your Dove freebies here. We’ll keep this page updated with the latest and greatest the web has to offer. 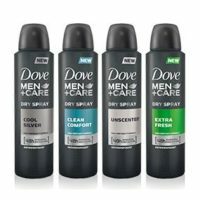 Expired: Dove Dry Spray, Beauty Bar and Hair Styling Product Giveaway!